We're expanding the availability of native plants and native plant professionals so communities everywhere can achieve their sustainability goals. Native plants are key components of the natural ecosystems that sustain all life, including ours. When we use more native plants, we can have landscapes that thrive on rainfall, preserve air and water quality, conserve water supply and support wildlife, including pollinators. Today, native plants are not widely available and most landscape services have little knowledge of the plants and how to grow them. With climate change and a rapidly urbanizing planet, there's an urgent need now to expand the supply of native plants and support and develop the next generation of native plant professionals. 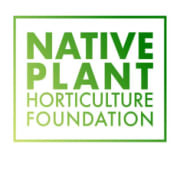 Would you recommend NATIVE PLANT HORTICULTURE FOUNDATION?